Highlands Certified Consultant Jennifer Landis-Santos along with colleagues Rebecca Dedmond, Teyrem Santos, and Mariana Alessandri recently published a series of journals designed to reveal a child’s strengths. Created as a resource for parents to help children understand themselves, the journals fit three different age groups. Early Edition (Ages 3 +) – Document your child’s skills, traits, interests, funny quirks, and help your child know their story. Middle Edition (Ages 8 +) – Based on the Highlands Ability Battery. Includes quizzes to discover your child’s personal style, abilities, and smarts. Personal Progress Portfolio (Ages 14 +) – Create the habit of self-reflection and build confidence for presenting strengths in life. 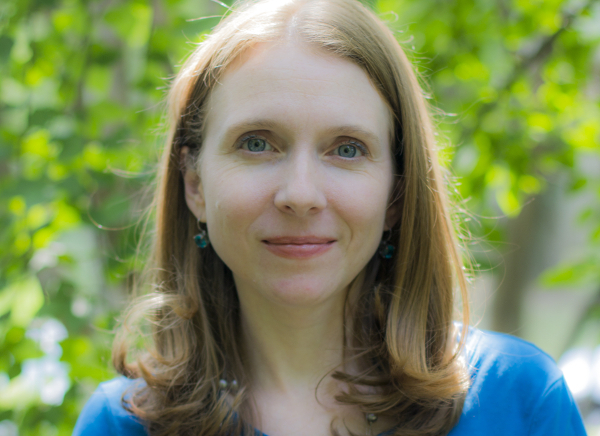 Jennifer is a counselor with experience in working with victims of domestic violence and sexual assault as well as experience working with both parents and students to understand students’ strengths. She currently works on the Hispanic Outreach Initiative for Georgetown University’s Center on Education and the Workforce (her official title is Equity, Diversity and Inclusion Fellow). She received her Bachelor of Science (B.S.) in Psychology from University of Mary Washington and Master of Arts (M.A.) in Counseling from Garrett Theological Seminary. 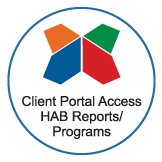 Not only is the Middle Edition of the Strengths Journal based on the Highlands Ability Battery, but the tenets of the entire project strongly coincide with ours. The Highlands Company endorses this product and encourages our consultants and customers to sample the journal and consider purchasing the product for the children in your lives. 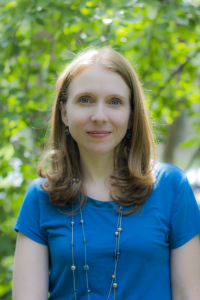 “The journal is a resource for parents and caregivers to help their students develop self-confidence,” Jennifer said. We are all about informed decisions! 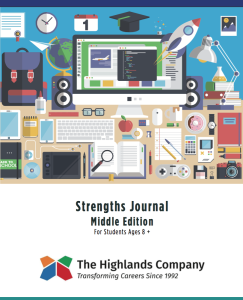 Visit strengthsjournalkids.com to learn more or contact Jennifer and request a sample copy, which is available to Highlands Certified Consultants.